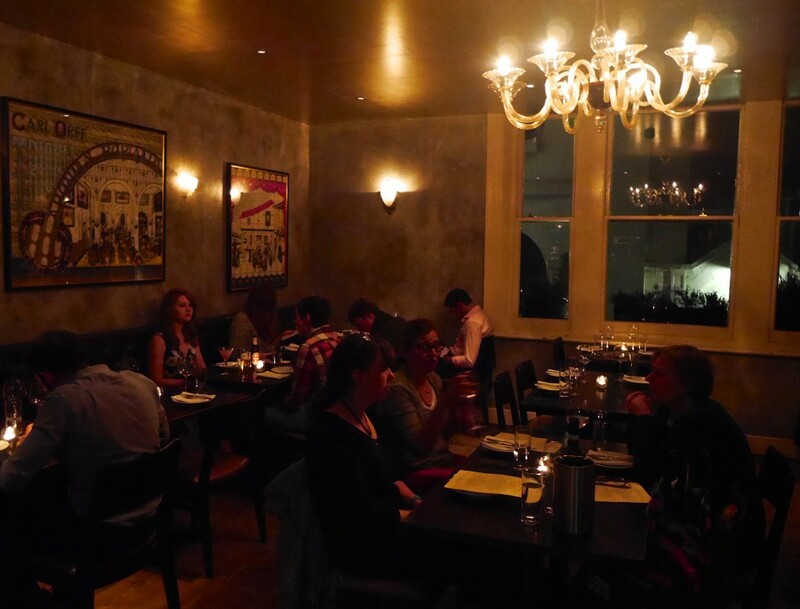 Opera Tavern is a wonderful restaurant located in the hustle & bustle of idyllic Covent Garden. It is a well-rated (check them out on tripadvisor) tapas restaurant offering mostly Italian and Spanish inspired dishes. 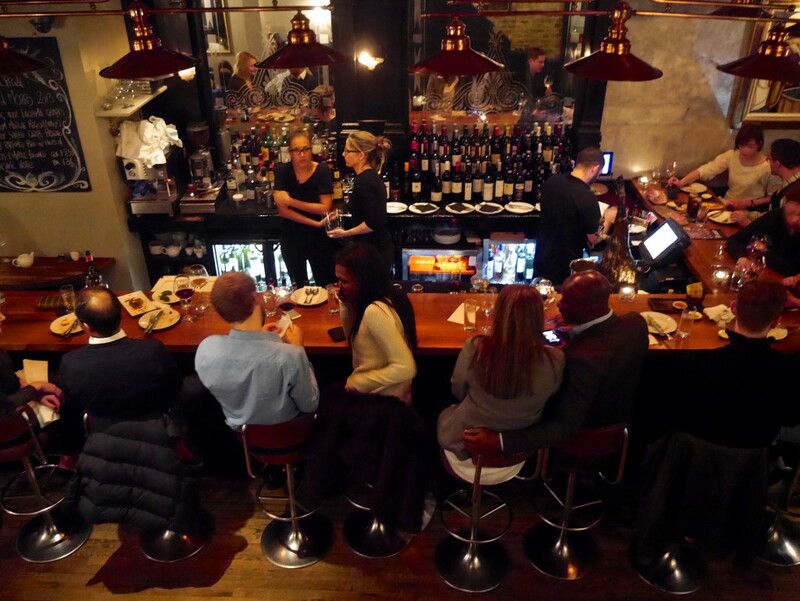 I personally love sharing food when I eat out and getting to try as many different items on the menu as possible, so Opera Tavern was an excellent choice of Michael’s for us to celebrate Saint Valentine’s. Service: The service suited me to a tee, in that it was of a very high standard, but performed in a non-intrusive and relaxed manner. By this I mean the service was everything it should be at an expensive restaurant – our coats were taken from us as soon as we arrived; menus were delivered and orders taken promptly; dishes were explained with patience and a smile; water and wine glasses were refilled continuously; and we had an ideal wait time between each round of orders – but, for example, the male waiters had their white shirts untucked, and seemed entirely at ease in the midst of the full-to-capacity restaurant, to the point where I felt like I was actually interacting with a human rather than a robot, which, for me, makes a dining experience so much more enjoyable. I really hate stiffness! Regardless of my personal preferences, the service and their manner suited the style of the restaurant and food perfectly. Ambience: Opera Tavern is a gorgeous two-storey building, with an elegant bar on the ground floor and the main restaurant area on the upper floor. Unfortunately, we didn’t have time for a drink at the bar, which was probably for the best anyway seeing as there was no room left! Thus, we headed straight upstairs to the dining room and were seated at our booth table in the corner. 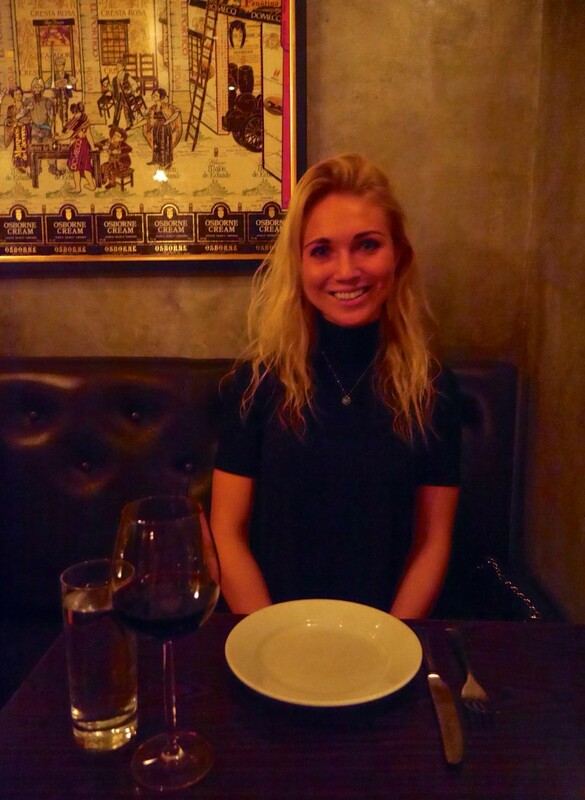 I really loved the décor of Opera Tavern; I absolutely adore exposed brick walls and I thought it worked really well with the rustic, yet smart, style of the restaurant. 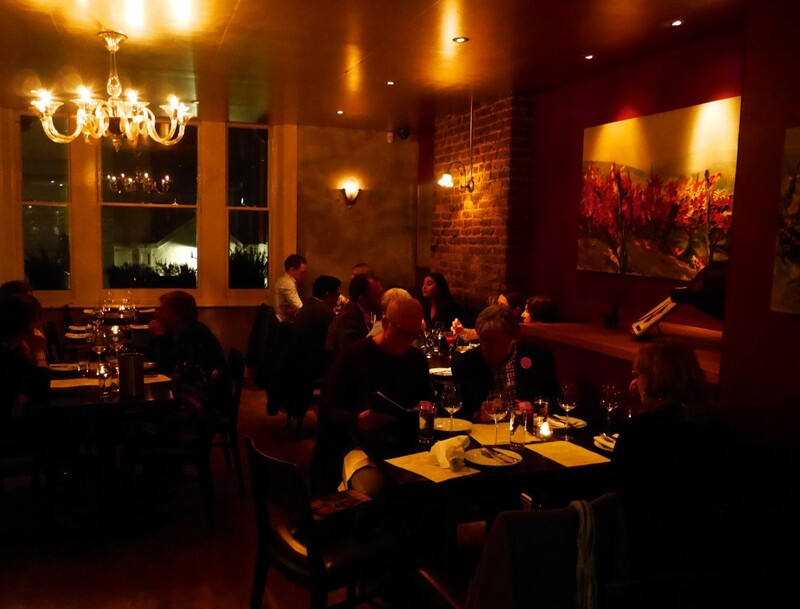 The paintings added a European feel and the dark cherry wood tables and dim-lighting made the atmosphere perfect for a romantic evening. I am slightly candle-obsessed so the tea lights placed on each table really put the icing on the cake for me. As I have already said, the service and ambience of the restaurant were very well matched, and I genuinely appreciated the lack of white tablecloths. Food: The food was truly delicious. Naturally, some dishes were better than others, but overall both Michael and I left very impressed by the quality of the food that we received. 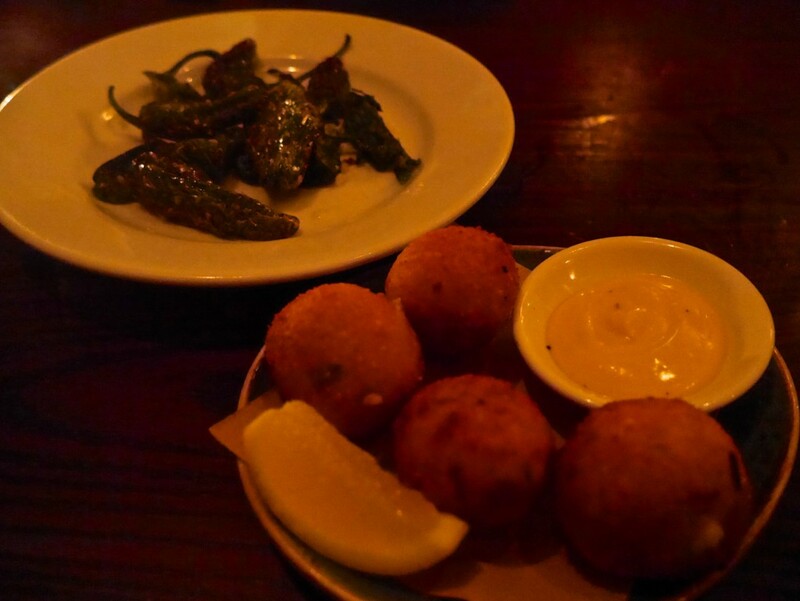 We kicked off the evening of endless dishes with padron peppers (£4.50) and salt cod croquettes with saffron aioli (6.50). 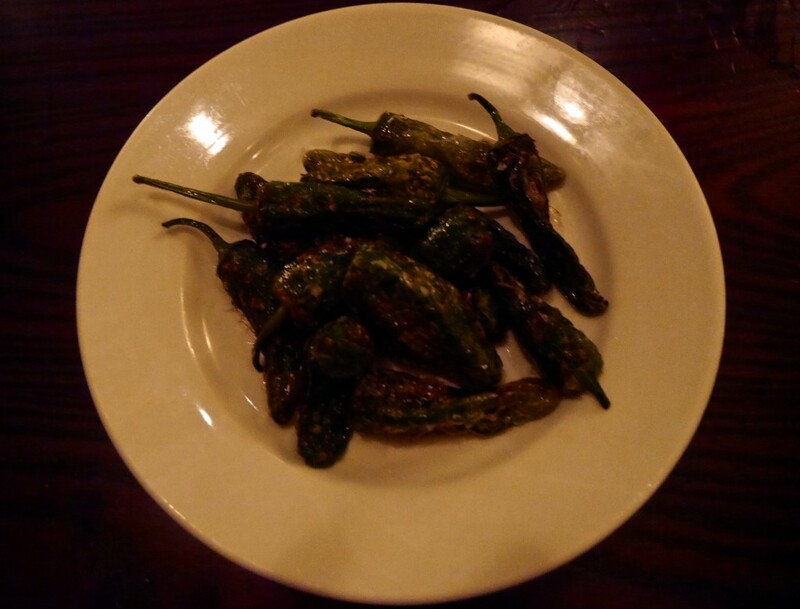 The padron peppers were not the best I’ve had, if I’m honest. They were pleasantly edible but seemed to lack that real ‘charcoal-ed shrivel’, and were rather unbalanced in seasoning, with some peppers covered in salt and some totally lacking. The plate was clean nonetheless so that still says a lot! 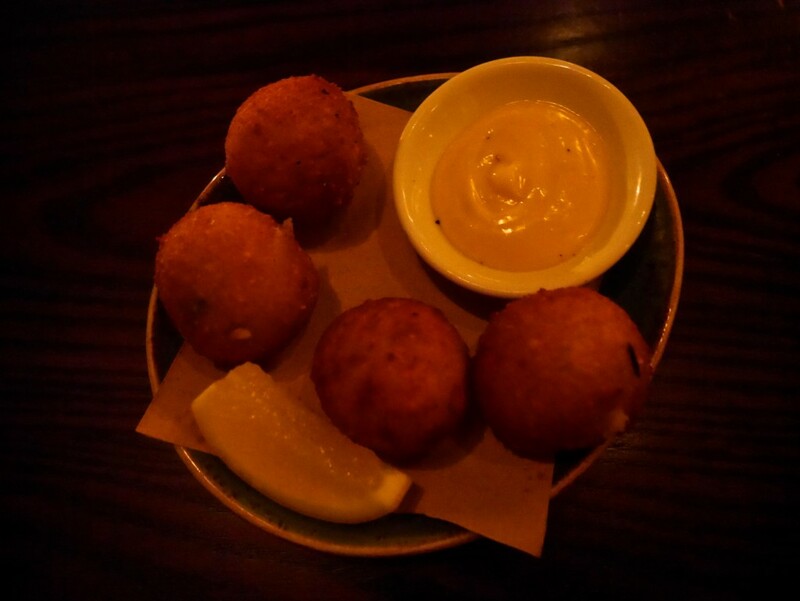 The salt cod croquettes definitely raised the bar. I must admit that that they were not at all what I had been expecting; for whatever reason I had pictured something whitebait-similar, so was obviously a little taken aback when crispy little balls were placed on our table. Thankfully, they were very delicious balls. The outer batter was very thick and crisp, revealing a beautifully smooth white interior that melted on your tongue. You could taste the fish despite its delicate flavour, and the squeeze of zingy lemon and creamy saffron aioli accompaniments really sealed the deal to make these croquettes something of a masterpiece! Next we had confit of old spot pork belly with rosemary scented cannellini beans (£9.00), grilled venison haunch with confit carrots, hazelnuts and spiced jus (£9.00), and patatas bravas with aioli and bravas sauce (£4.00). The pork belly dish really let down this round of food; the pork itself was very dry, particularly considering it was belly, although the crackling was delightful. 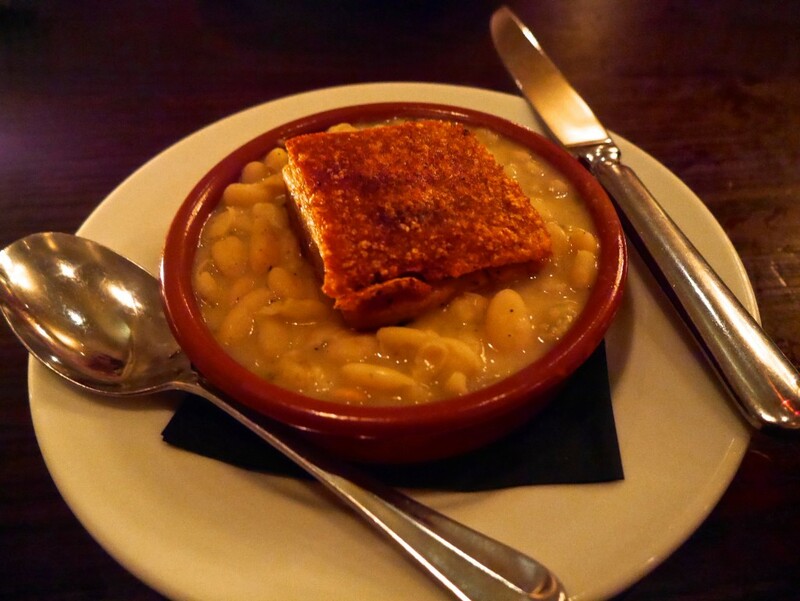 The cannellini beans added nothing to the dish whatsoever, as they were served lukewarm, had a watery consistency, and seriously lacked flavour. There was definitely no detectable hint of rosemary. Both Michael and I thought the beans needed more seasoning or spice, or quite frankly to be replaced altogether; a creamy mash would have been a million times better! Value for money the portion size and quality of pork missed the mark for us. I wouldn’t recommend ordering this dish despite it being one of their most popular, which is a shame as I love pork belly and had very much been looking forward to it. The venison haunch, on the other hand, was absolutely delicious. The meat was incredibly tender and the flavours were divine. 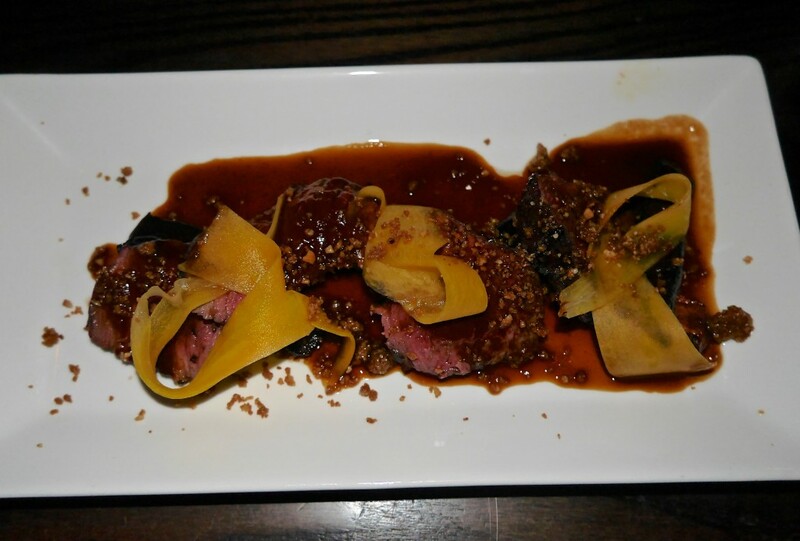 The crunch from the chopped hazelnuts and tangy, spicy jus accompanied the pink meat wonderfully. 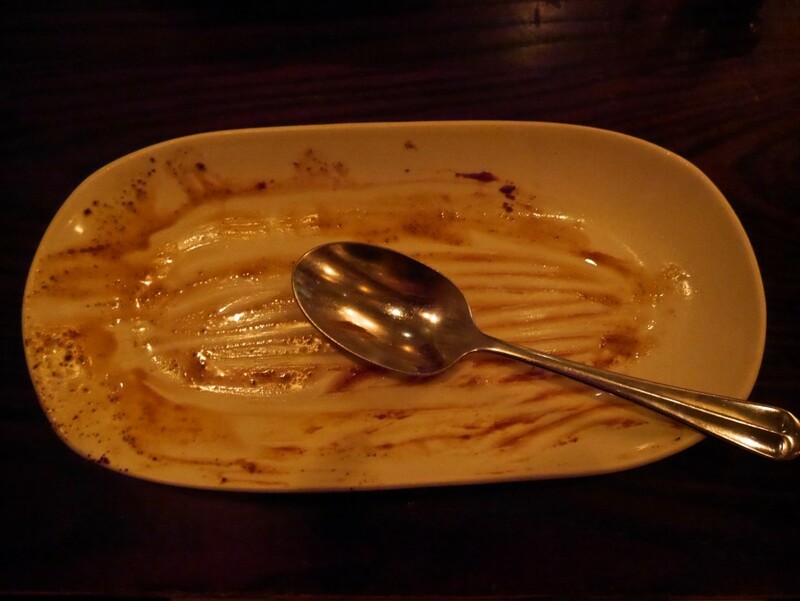 Both Michael and I really rated this dish. The patatas bravas (i.e. chips) were also very decent. Michael enjoyed them slightly more than me but that’s because he has a love affair with paprika, whereas I prefer my chips the traditional way with purely salt for seasoning. Having said that, they had the perfect texture, with a crisp, crunchy exterior and flowery centre. 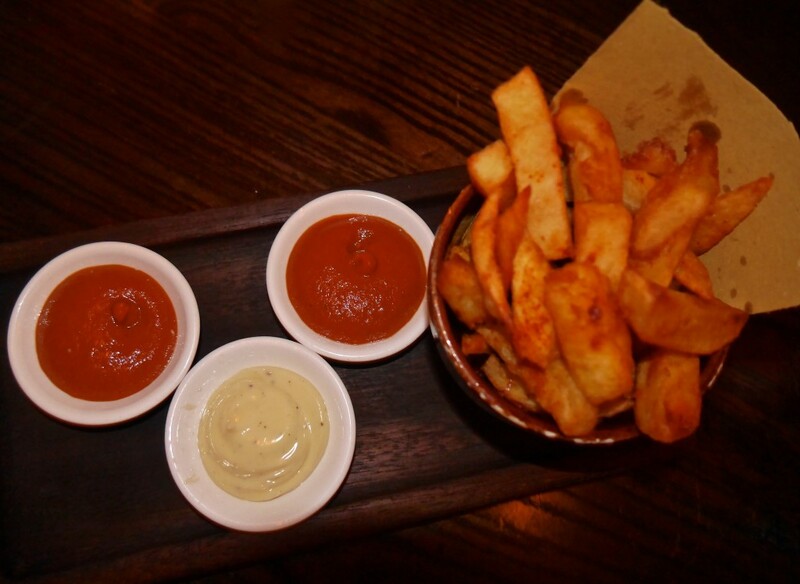 You could also tell they were hand-cut as all of the chips were different sizes, holding true to the rusticity and authenticity of the restaurant. The only criticism I have of Opera Tavern with regard to this dish is that they don’t serve ketchup. I understand that restaurants may be proud of their homemade condiments and don’t wish to stock commercial sauces but, to be perfectly honest, I think this is a mistake, because what the customer wants the customer should get, and for me there is no tomato sauce for chips that can beat Heinz ketchup! This is a matter of personal taste, of course, but I found their ‘bravas sauce’ to be entirely wrong in consistency, reminding me slightly of grainy mashed potatoes. Their garlic aioli sauce, however, was very pleasant (but nothing beats ketchup!). 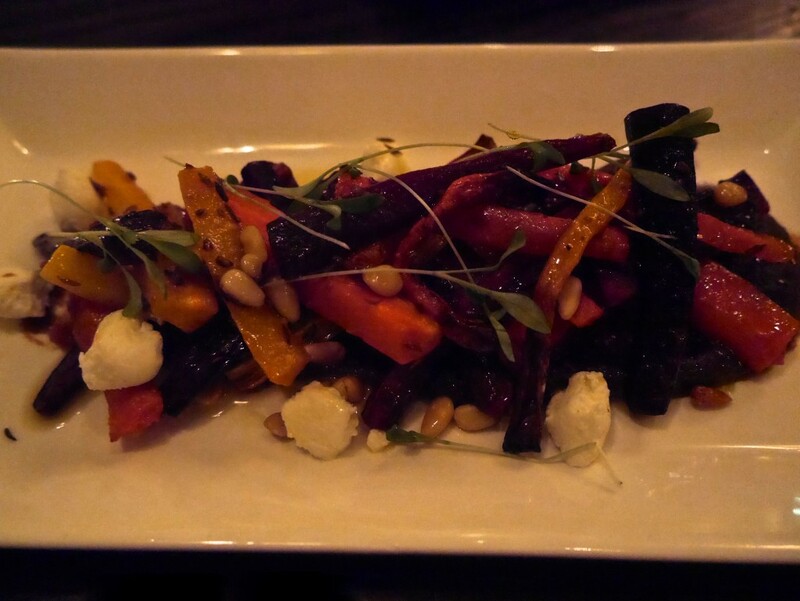 For our next round, we had the warm salad of confit duck leg with beetroot, faro, raddichio & salted grapes (£8.00), roasted heritage carrots with date puree, goats curd, pine nuts and cumin (£6.50), and another order of the patatas bravas. The duck salad was good. Again, Michael enjoyed it more than I did, but I consider myself a bit of a connoisseur with salads and, for me, this dish lacked contrast. I think some fresh, crunchy pomegranate seeds sprinkled over the duck would have entirely transformed the dish. The duck itself was flavoursome, albeit a little dry. However, the unusual salted grapes were fantastic and we both really enjoyed this element of the dish. The best part for me though was definitely the biscuit-like serving of duck fat/skin; I couldn’t tell you entirely what it was but it was seriously tasty, with a rich, meaty flavour that melted in your mouth. The carrots were excellent. They had a strong earthy flavour and had a great natural sweetness. They had also been cooked to perfection and were exquisite when combined with the juicy date puree, bitter goats curd, and delicately crunchy pine nuts. 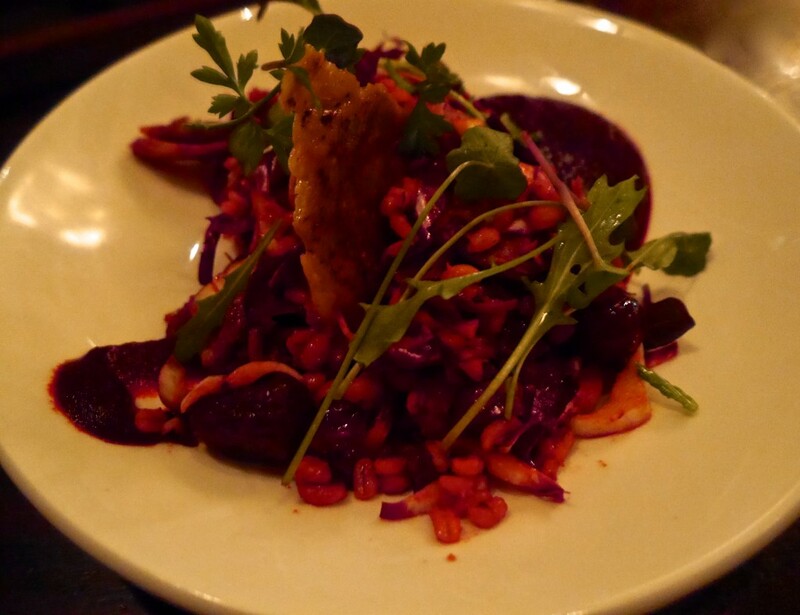 A very well-executed dish that I would happily have devoured a huge portion of for mains any day of the week. 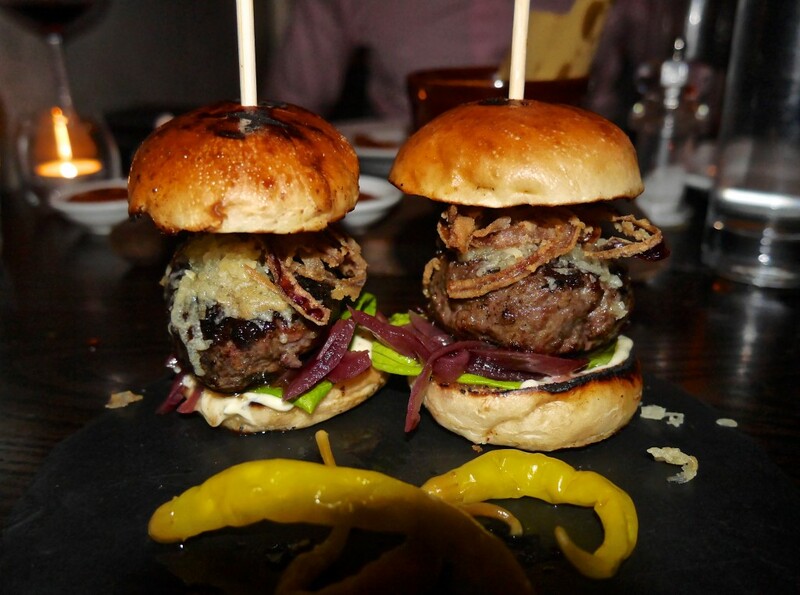 We finished our savoury selection with the Crown Jewels; two mini Iberico pork and foie gras burgers (£7.50 each). The meat patty was generous in size and possibly the juiciest burger I have ever tasted, which I know is a pretty bold statement to make, but as a sauce fiend I can honestly say that this burger didn’t need any sauce, which is huge for me! The burger was encased in a deliciously soft and toasted-to-perfection bun, with the sweet red onions adding a real punch of delicious flavour (I could actually have done with more of them). The burger was stunning and the highlight of the meal for us both, although I must admit that I could not taste any foie gras, either in flavour or texture, but this did not retract from our enjoyment in the slightest. I very much recommend ordering these little beauties! I am never going to say no to pudding, regardless of how full I feel or how much my jeans are calling for a button-pop! 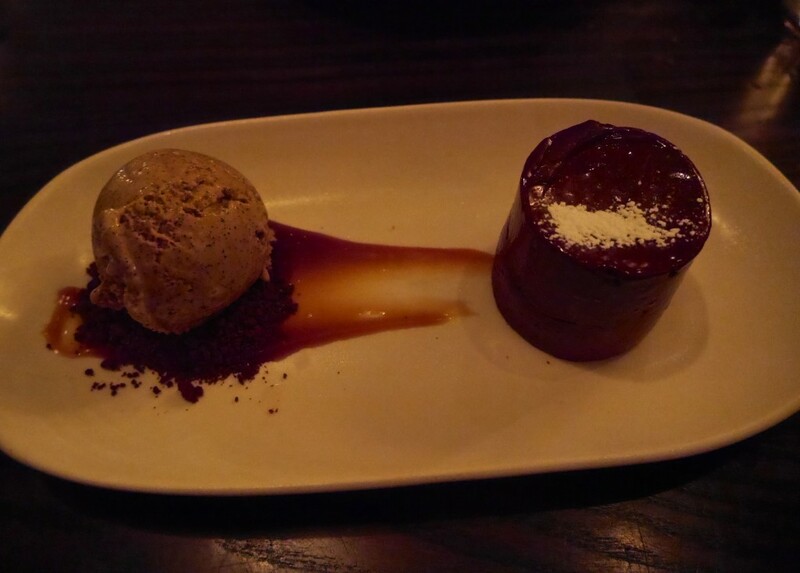 Hence we both ordered the cold chocolate fondant with salted PX caramel and espresso ice cream (£6.50) for dessert. 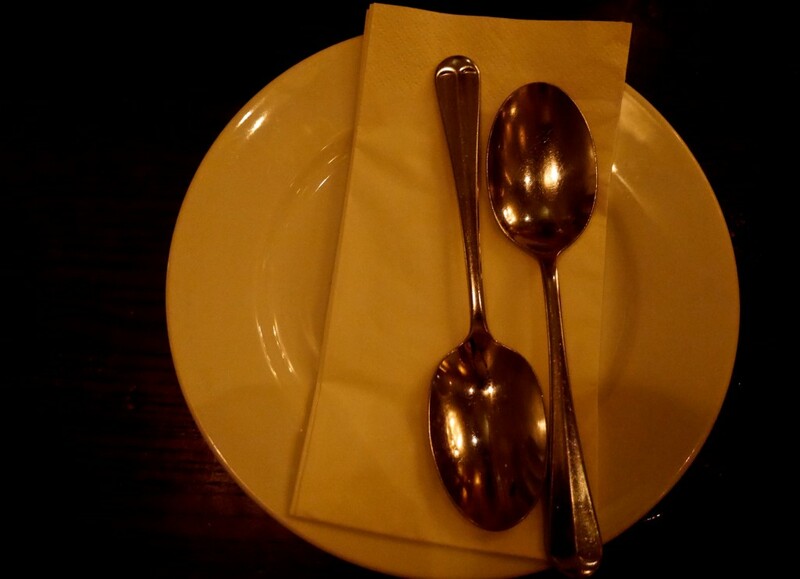 I couldn’t wait for our chocolate fix, and was filled with suspense when our waiter placed two spoons and serviettes on our table, but no chocolate fondant! Thankfully it wasn’t long until pudding was served. Any hint of skepticism regarding a ‘cold’ fondant melted away the moment the dense, rich, chocolate met my lips. Oh my goodness, this pudding deserves to win a food Oscar. The fondant texture was like an incredibly thick mousse, which was surprisingly light… I could definitely have (eagerly) eaten a few of those without feeling sick! The caramel sauce and espresso ice-cream complemented the chocolate flavour beautifully, delivering subtle rather than overpowering flavours. The crumbled chocolate-y biscuit added crunch to the otherwise all-smooth components of the dish, bringing lovely contrast to each mouthful. Overall, I would say this pudding was in my top 10 puddings of all time, which is definitely a compliment if ever there was one. Price: The total bill came to £121.94 including 12.5% service, for 7 plates of fish & meat tapas, 2 plates of vegetable tapas, 2 portions of chips, 2 desserts, and a (stunning!) bottle of red wine – ‘Casamatta, Bibi Graetz (Sangiovese, Tuscany), 2013′ (£28.00), which we both thought was very good value for money. 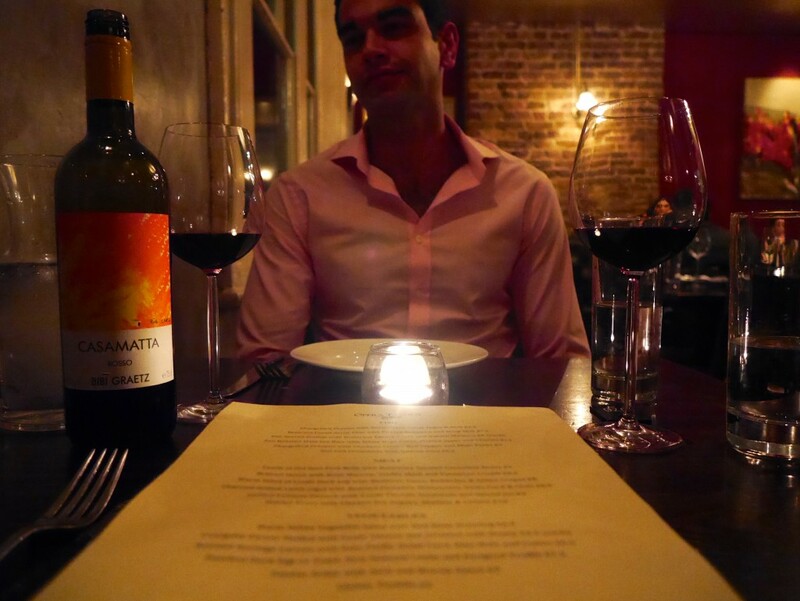 Michael and I had an amazing Valentine’s supper in relaxed, enjoyable surroundings. Opera Tavern is a fine restaurant that I could visit for the burgers and fondant alone on a very regular basis. They also serve charcuterie boards filled with all types of meat, that I think would be seriously good, and plan to return to try in the very near future. 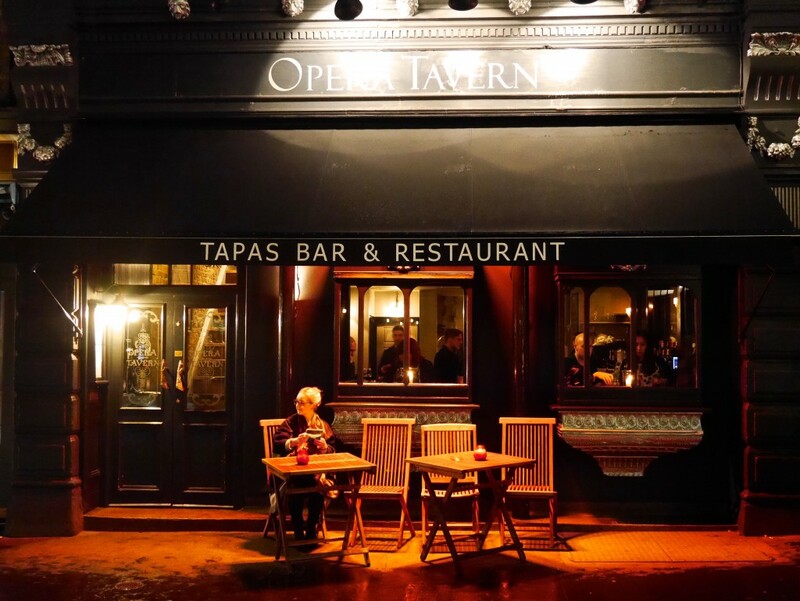 If you decide to make a visit to Opera Tavern please let me know what you think; I really hope you enjoy it as much as we did!